There were a lot of worries about the future of online casinos in Canada when Ladbrokes pulled their participation from the country’s market. Investors and market experts were seriously worried that Canadian regulations would continue to drive companies out of the country. However, these fears have turned out to be unfounded. While Ladbrokes may be gone permanently from Canada, their withdrawal had more to do with their competition than any regulations. They were unhappy with steps taken by a couple of other online casinos in reference to payment processing companies. Instead of fighting to improve their standing in Canada, they chose to leave. While overseas countries are not expressly allowed to serve Canadian customers, most of them get by nonetheless. They do not place any advertisements on Canadian soil, nor do they heavily publicize their Canadian market. This allows companies such as Bet365 and Betfair to continue serving Canadian customers and making good money from the country. Experts now believe that the Ladbrokes decision was a complete one off, and does not reflect the online casino market’s direction in Canada. Most of the international companies that serve Canadian customers originate in the UK. New UK laws mean that they must show less than 5% of their revenues per year come from Canada. 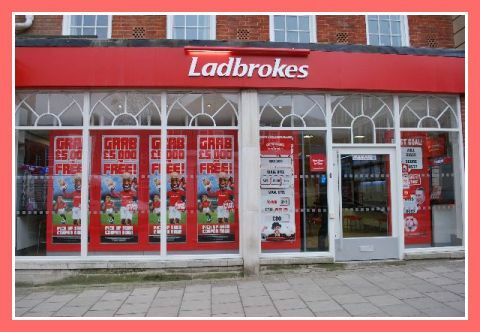 While other companies were happy to comply with these requirements, Ladbrokes did not want to deal with the situation. It was reported that only half a percent of their yearly revenue comes from Canada. That figure is too small for them to deal with the hassle of continuing to provide services to Canadians. However, companies such as Bet365 and Betfair have a lot more at stake in Canada. They are more popular among Canadian gamblers, which means they will continue to stick around.